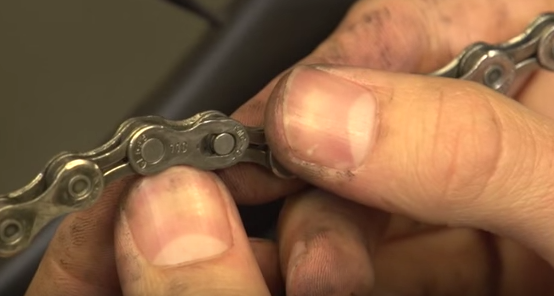 So How To Remove A Link From A Bike Chain? There Are 3 Ways?! 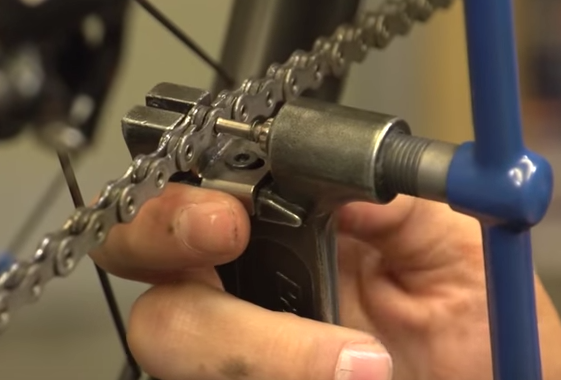 Ever wondered how to remove a link from a bike chain? Here's a guide that will show you everything that you need to know. You'll want to put some slack into the chain to make it easier to extract the link. To do this, simply put the chain on the smallest cog at the back, and the smallest ring at the front. Initially what we're looking for is the ring below, and technically you can remove the link without using any tools what so ever. You remove it by pushing the two plates together slightly, and then just slide them apart. However, they're normally quite stiff, so unless you're the Hulk you'll at least need a pair of pliers. Wind the handle towards the chainring, and you'll see it pushes the pin out. If you'd like to learn how to extract and replace a bike link in detail, then watch the great informational video below by Global Cycling Network. However, if you don't have access to the tools required then read below. How To Extract A Ring WITHOUT A Tool. 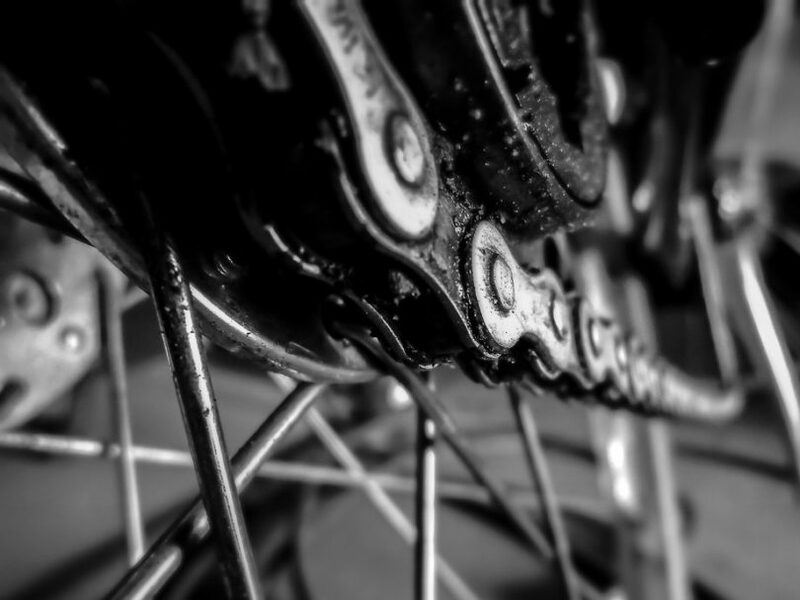 What if your chain has no quick link and you don't have access to a tool? Well, that's when things get a little more trial and error, but it's still possible. *Note: This may be difficult to do while the component is still attached to the bike, but where there's a will there's a way! The optional tools are to drill a hole into the wood, but none of that is necessary. You could just wack the chain with the hammer and nail punch until it comes out! A slightly cruder approach but the result is the same. So there we have it, how to take out a ring using three different methods. Hope they help you out.